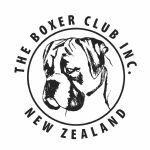 Are you a current member of The Boxer Club? Please ensure your memberhsip is current so that you can enter and celebrate our 65years! Don't miss out .... download your Membership Form here!